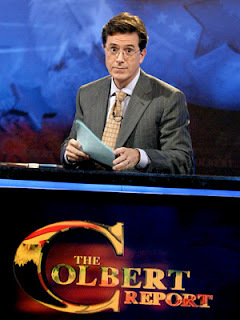 Missed Seth on The Colbert Report? Catch him here talking about his new book, "Confessions of an Alien Hunter!" Seth on the Colbert Report this Wednesday! This Wednesday, May 20th at 11:30pm, Are We Alone's very own Seth Shostak will be a guest on Comedy Central's "The Colbert Report". Host Stephen Colbert will talk with Seth about his new book, "Confessions of an Alien Hunter: A Scientist’s Search for Extraterrestrial Intelligence" and Seth's work at the SETI Institute. And maybe a certain radio show? Yes, Seth and Molly really did record this week's show at the beach. 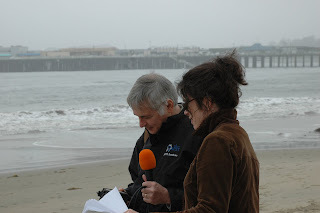 Not only did it give the show its authentically beachy sound, it also gave our portable recording equipment a much needed shot of salty sea air. We may have to fake it if we do a show about a microphone incineration plant.